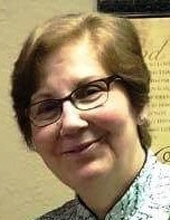 Alice Nasrallah Harrison, 70, of Midwest City, died February 7, 2019. She was born on October 17, 1948 in Beirut, Lebanon to Nasrallah Abyad and Nahi Kopti. Alice grew up in Lebanon and came to the U.S. at the age of 28, she married Jess Harrison. Alice was a records manager for 15 years at the Midwest City police Department. Alice loved to cook and she was known for her love of animals. Alice was a member of St. Elijah Antiochian Orthodox Christian Church in Oklahoma City. Alice was preceded in death by her husband, Jess Harrison. Alice is survived by her two daughters, Ava Peck and her husband, Clay of Choctaw, Anna Johnston and her husband, Greg, of Harrah; grandchildren, Layla Woodruff and husband Greg of Oklahoma City, Stevie of Choctaw, Katherine Faux and husband Sam of Norman, Mary Johnston of Harrah; sister, Lily Abboud and husband Simon of N.Y.; brother George Abyad of Dallas. To send flowers or a remembrance gift to the family of Alice N. Harrison, please visit our Tribute Store. "Email Address" would like to share the life celebration of Alice N. Harrison. Click on the "link" to go to share a favorite memory or leave a condolence message for the family.